← Will HBO finish ‘Game of Thrones’ first? SPOKANE, Wash. — Is there a better way to power a spaceship? The basic tools of the rocket trade have been refined over the course of nearly nine decades, but there’s only so far the physics will take us. 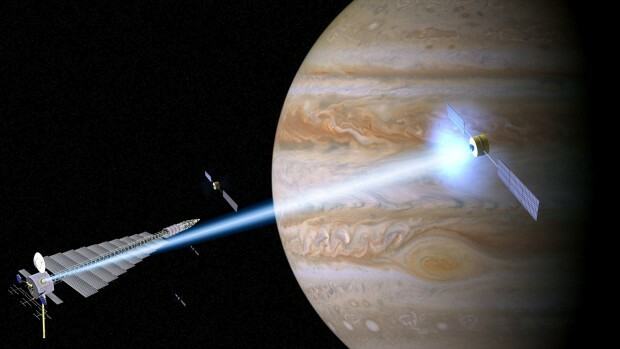 If we ever want to send anything to another star system, as described in Kim Stanley Robinson’s newly published book“Aurora,” we’ll have to come up with new technologies. Some of those technologies were laid out at Sasquan, the world science-fiction convention playing out this week in Spokane, during a session on the art and science of spaceships. And it turns out many of those technologies have a Seattle spin. Get a quick rundown on six research areas, with links to the local connections. Read the full story on GeekWire. This entry was posted in GeekWire and tagged Books, Innovation, Interstellar, Sasquan, Science Fiction, Space, Space Elevator, Spaceflight. Bookmark the permalink.